Plantronics CT12 2.4GHz Cordless Telephone - Headsets Direct, Inc. The CT12 has been discontinued. Plantronics CT12 2.4 GHz DSS Cordless Headset Telephone is an ultra-compact single-line telephone, offering hands-free convenience and comfort. 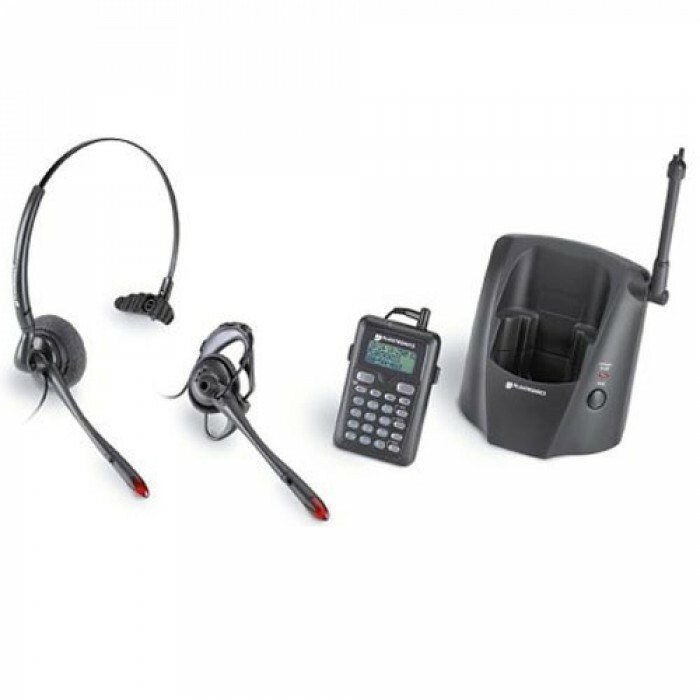 Includes convertible 2 in 1 headset for over-the-head stability or over-the-ear convenience, a noise-canceling microphone for superior sound clarity and Firefly, the unique in-use indicator light that lets others know you are on the phone. I bought the phone and headset for my office about 5 years ago. I quickly realized that the headset is the best I have ever used with my cell phone as well. Unfortunately, I ran over the set with my office chair, and had to buy a replacement. I am just as thrilled with the new headset. And the service representative that I spoke with on the phone helped me find the right one for my system!